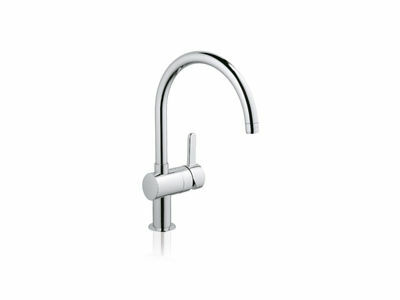 Modern yet timeless, beautiful yet functional, Flair is available in a choice of three graphic spout shapes – the C-shape, L-shape and U-shape. The option of a pull-out spray or an extractable mousseur guarantees an increased operating radius and offers different sprays. Thanks to GROHE SilkMove® technology these faucets will also provide you with years of superb ease of use while GROHE StarLight® ensures a longlasting, immaculate finish.